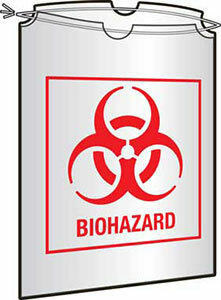 Custom-printed Biohazard Bags are made to your exacting specifications. Whatever your requirements we can make it happen. You may need HDPE or the more common LDPE Lab bags for your counter, to fit inside a floor stand, or need different film colors like red, blue, yellow, orange, or any other color. Custom printed bags are perfect for institutions with a bilingual or multi-lingual staff. 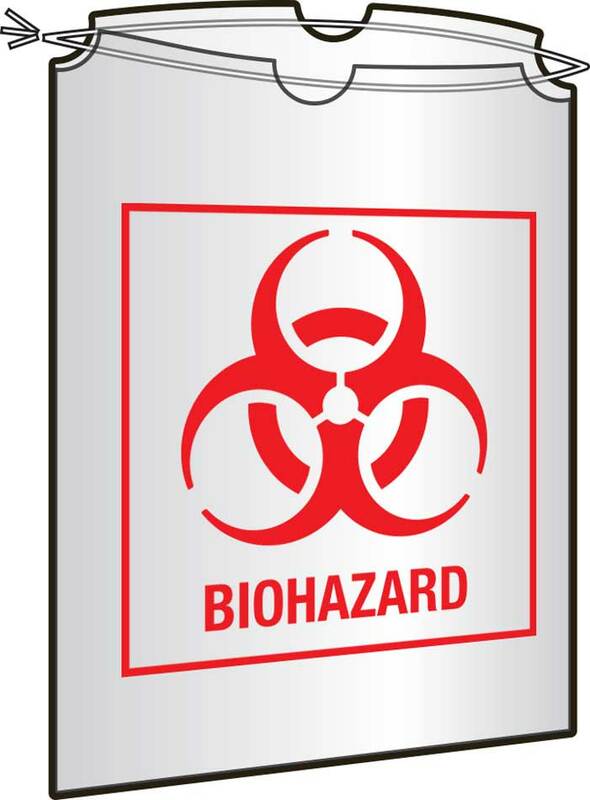 They can be printed with the universal biohazard symbol or "infectious waste" in English, Spanish, or any other language. These high-performing bags are "just what the doctor ordered." They help to eliminate leakage problems. Tell us what bag thickness is needed. 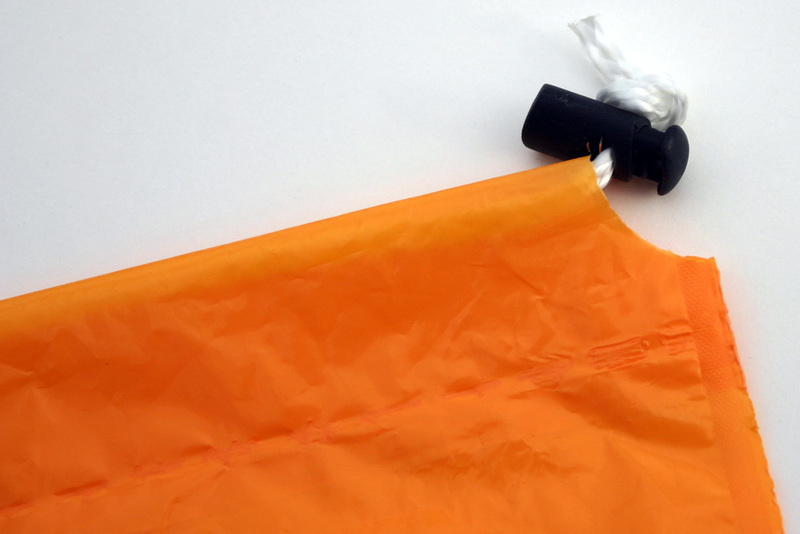 You can choose from multiple closure options, such as a cotton drawstring with a barrel lock, a plain drawstring, a lip and tape style adhesive, or the versatile tear off poly tape that you can use to tie the bag securely shut.